Posted on August 3, 2015 at 11:14 am. Albert Geldeart was born in to a mining family in Featherstone, Pontefract in 1891. His family moved between Featherstone, Hemsworth and South Kirby before settling in Carcroft just before the war. 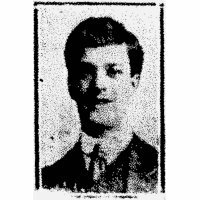 Albert followed his father down the mines, working as a rope lad at the age of 20 when the family lived in South Kirby. 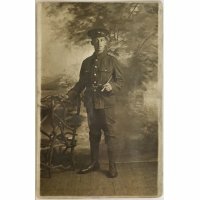 Albert enlisted in January 1915, joining the West Yorkshire Regiment at the age of 24. 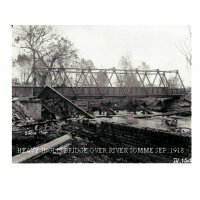 He was promoted to Corporal in March 1916. 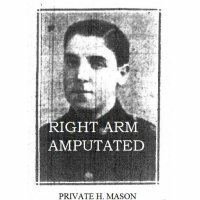 In December 1917 he was admitted to St Luke Military Hospital in Halifax with gunshot wounds to the head and hand. He spent 94 days in hospital and made a full recovery, though sadly he lost the sight in his left eye. 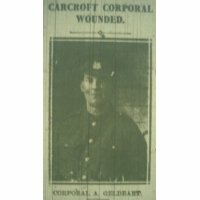 This meant he was classed as too injured to serve and was discharged from the army in March 1917, receiving the Silver Service Badge. He was also awarded the Victory and War Medals. 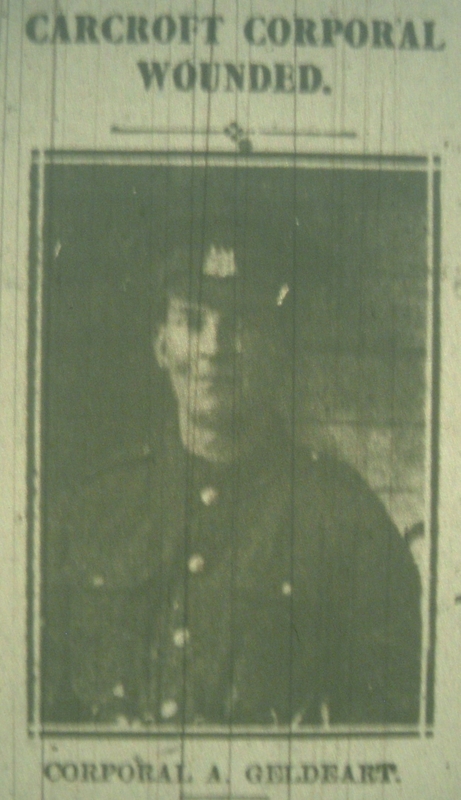 On return to civilian life he married Minnie Wood in 1918. Albert died in December 1965.